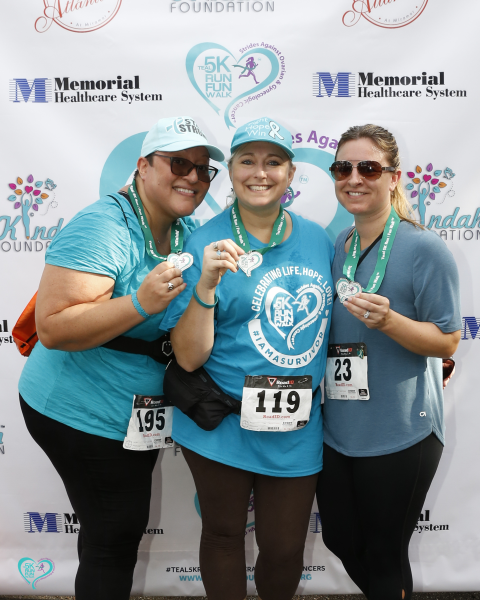 Teal Survivor Stride - KINDAH FOUNDATION, INC.
Gyn Cancer Survivors Parade & Photo- 6:40 a.m. – 6:50 a.m. Guests of survivors, not participating in the run/walk, do not need to register. Family activities, community health fair, and refreshment offered throughout the event so bring the whole family. We’ll see you on race day! No female should go through gynecologic cancer alone. You can make difference!